The beauty of the outdoors .. the feeling of life around us—that is the spirit of modern living. You see it in the livable luxury of today’s home. In the informal magnificence of today’s club. And now you see it, too, in a fine car… in the distinctive new Lincoln. Lincoln’s every detail has a purpose: to add to the relaxation of people on the go… who think nothing of driving miles away for dinner at the club. Take its powered-for-action beauty. It gives you the handling ease of a sports car… with the stability of the big car that it is. Take everything about this Lincoln —from its down-sweep hood… to its strikingly decorated interiors… to its nearly 30-cubic foot luggage compartment—and you have a car as comfortable and as modern as your living. Visit your dealer’s showroom and see the new Lincoln Cosmopolitan and Capri. Above all, let him give you the thrill of a motoring lifetime— a demonstration drive in the one fine car deliberately designed for modern living. This is indeed revolutionary. A woman behind the wheel and the guy riding shotgun. In 1952. wow. Not really, he’s just “overly refreshed” from dinner. 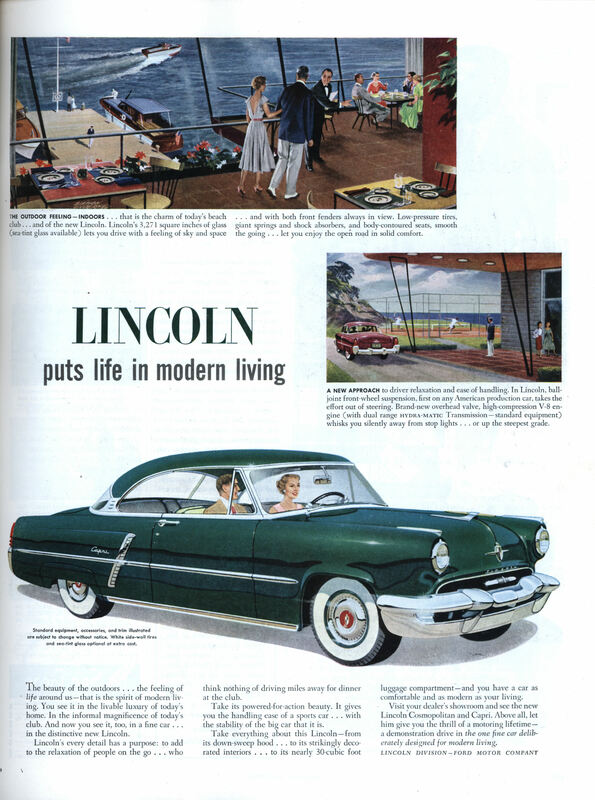 Lincoln put a picture of a woman driving in their ad, but I don’t think any of the Big Three at the time went as far as Dodge, in making a car specifically targeted at women – the 1955-56 Dodge LaFemme. It was pink with rosebud upholstery, and came with a purse, rain cape, umbrella and rain hat that fit into special pockets in the seat backs. Wow! Never thought I’d see a reference to GENERATION OF VIPERS on this site! 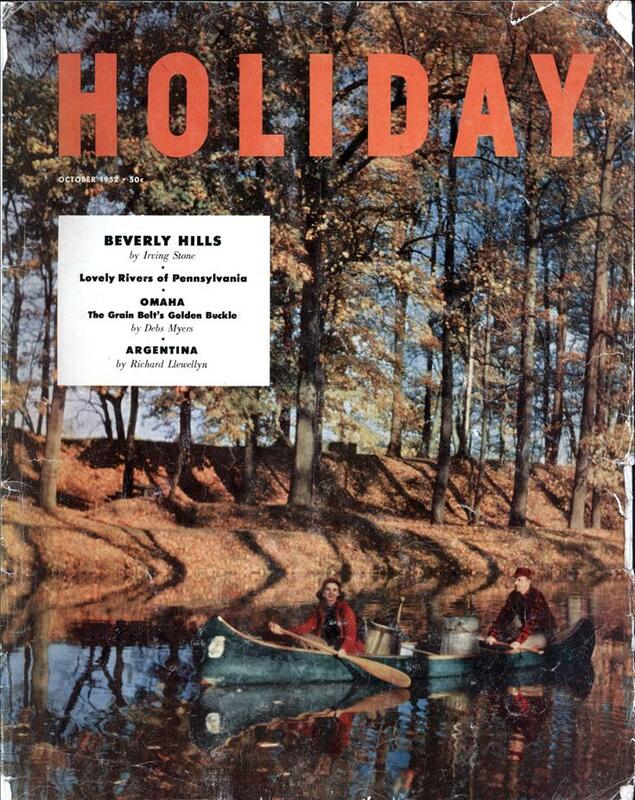 I was going to mention that the ad copy implies that one will practically DOZE to one’s destination. Seems a little inadequate now. Oh, also, I saw a Dodge La Femme at the car museum at the Imperial Palace in Las Vegas. Luggage intact!